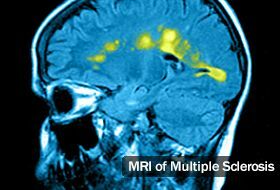 It can be a challenge for doctors to diagnose multiple sclerosis (MS). There’s no single test that can prove you have it. And many conditions have symptoms that seem like MS.
A neurologist -- a doctor who specializes in treating the disease -- should be able to help. They’ll ask how you’re feeling and help you figure out if your symptoms mean you have MS or another problem. What Do Doctors Look For? What Are the Tools for Diagnosis? MRI: This imaging test lets the doctor take a closer look at your brain. They can see changes caused by multiple sclerosis like signs of inflammation in the deep parts of your brain or spinal cord. But older people or those with high blood pressure and diabetes also can have the same kinds of spots on a brain MRI. So the doctor will consider other info, including your symptoms, along with the scan results before they make a diagnosis. Also, an MRI result that says things are normal doesn’t rule out MS. You could be one of a small number of people who have lesions in places the scan can’t show. 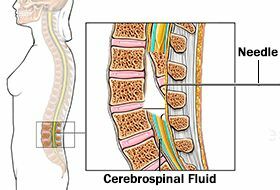 Spinal taps: This test, which you may also hear called lumbar puncture, checks the fluid that runs through your spinal column. Doctors use it to look for high levels of proteins and other substances that are signs of the disease. It can help diagnose MS, but it, too, isn’t absolute proof. Evoked potentials: These electrical nerve tests can help doctors confirm if MS has affected the parts of your brain that help you see, hear, and feel. The doctor will place wires on your scalp to test your brain's response as you watch a pattern on a video screen, hear a series of clicks, or get electrical pulses on your arm or leg. Blood tests: They can’t diagnose MS, but the doctor will use them to look for substances in your blood that point to it. Most importantly, they can help your doctor rule out conditions that look like MS. It may take a long time to figure out that you have MS. If you’ve been waiting years or months, the news might be a relief. Or it could be a huge shock. Either way, you’ll have concerns about what the disease means for your life and your family. That's completely understandable. Talk with others -- your friends, your doctor, a support group, or a counselor -- about your feelings. Your health care team can help you decide the best ways to treat your disease and live with it day to day. MS affects everyone differently, so what works for one person with the condition may not be what’s best for you.